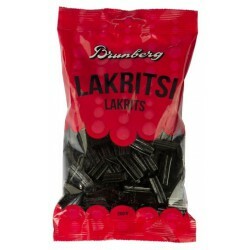 The great favourite of fans of salty liquorice. 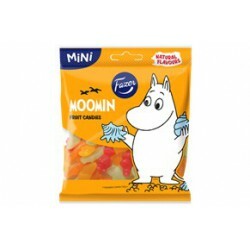 A suitably small bag of fruity, soft Moomin candies that’s the perfect size. A mix of four fruity flavours. The bag is illustrated with Little My and Moomintroll exploring. This classic hardly needs an introduction. It is a controversial delicacy that you will either love or hate. 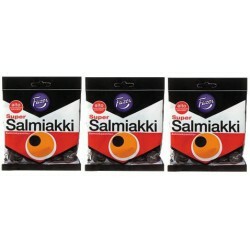 Fazer's salty liquorice drops in a bag are as Finnish as sauna and Sibelius. A lot of 3 pcs. 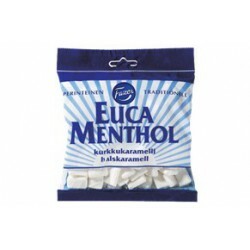 Everyone's favourite Kismet is now available in a new form! The layer of delicious milk chocolate flavouded covering Kismet Pallot conceals the crispy waffle and cocoa filling inside these balls. Words can't describe how good they are! The old favourite Lontoo rae ('London Drops') will charm you with their colours. 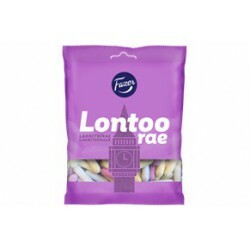 The crispy crust reveals sweet liquorice that will transport you to the city of Big Ben and double-decker buses! The arctic friend of the traditional Panther sweet leaps into a bag. 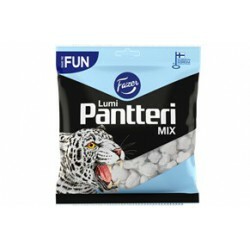 The white crust of a Lumi Pantteri ('Snow Panther') hides fruity and salty liquorice flavours. This retro classic is now also available in a bag! 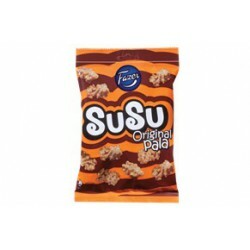 The rich caramel filling and chocolate rice crisp cover of Susu Original chocolate bites have been stealing the hearts of chocolate lovers since the 1970s. 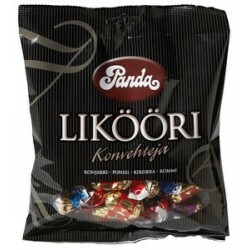 Kiss-Kiss has been originally created already 1897 and registered 1901, which makes it the oldest trademark in Finland. 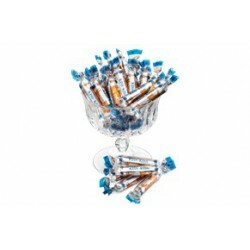 Legendary product now available in transparent 375g bags. 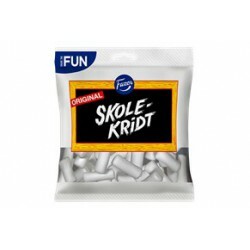 Ingredients: syrup, wheat flour, sugar, water, glucose syrup, liquorice extract (3,3 %), colour: vegetable carbon, salt, acidity regulator: citric acid, preservative: potassium sorbate, flavourings: e.g. anethol. Panda liqueur chocolates are made from carefully selected ingredients, nearly a hundred years ago in confection with respect for tradition. 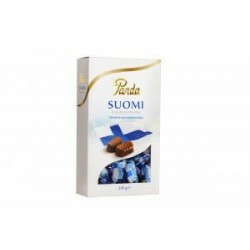 PANDA Suomi chocolates 300gFine chocolates for special occasions!